Brazil’s President Jair Bolsonaro thanked Israel for sending an army delegation to assist in search and rescue efforts following the collapse of a dam that killed at least 99 people and left hundreds missing earlier this month. The Israeli delegation was headed by Col. (res) Golan Vach, the commander of Israel's national search and rescue unit, and included some 130 soldiers and officers from both active duty and reserve forces, among them, engineering experts, doctors, and search and rescue personnel, firefighters, and soldiers from the IDF's underwater missions unit. The collapse sent a massive torrent of mud over the complex where 300 employees of the dam, owned by Brazilian mining giant Vale, were working. The deluge rumbled on to the nearby town of Brumadinho -- population 39,000 -- southwest of the city of Belo Horizonte, cutting a swath through vegetation, farmland and roads, and impeding access to the area and hampering officials' ability to determine the scope and gravity of the disaster. The IDF confirmed on Thursday night that its rescue mission was completed. 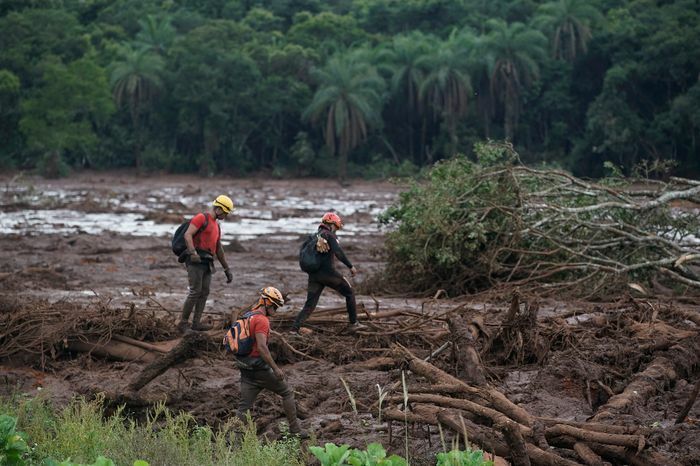 Firefighters search the mud, after a dam collapse near Brumadinho, Brazil, Saturday, Jan. 26, 2019. Rescuers in helicopters on Saturday searched for survivors while firefighters dug through mud in a huge area in southeastern Brazil buried by the collapse. 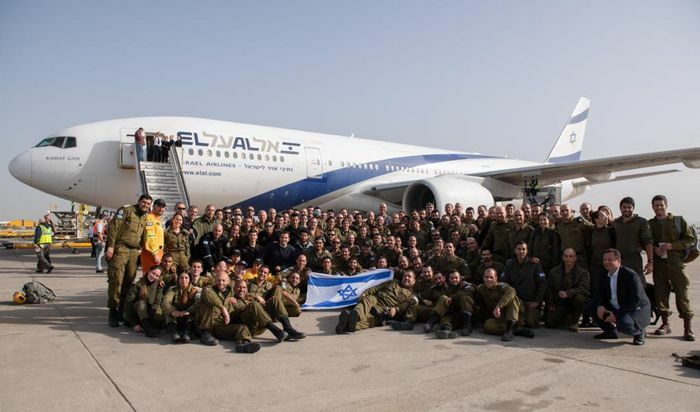 "Our aid mission to Brazil has come to an end, and our soldiers will soon be heading home to Israel. Brazil, we are proud to have been by your side,” a statement said. A statement was also released on the State of Israel’s official Twitter account following the end of the mission. "Israel is completing a humanitarian aid mission to Brazil, following the devastating Brumadinho dam collapse disaster, which claimed more than 80 victims. We are proud to assist our Brazilian friends and we stand with the people of Brazil," the statement said. The Israeli search and rescue team was the first of its kind sent to Brazil, marking another step forward for the two countries who have seen warming relations ever since the new Brazilian president pledged to move the country's embassy to Jerusalem. Netanyahu embarked on a diplomatic visit to Brazil ahead of Jair Bolsonaro's January 1st inauguration, where the new Brazilian leader officially confirmed the embassy move. "Israel does this because it is a friendly country. It has always been there, but it has always been badly treated by the old rulers for ideological reasons. Excuse me, but for the bad guys on duty, you just have to sit still and see how much good comes with that approach," federal deputy and son of Jair, Eduardo Bolsonaro tweeted welcoming the Israeli delegation. Israel, which is regarded as a world leader in disaster relief, has in the past offered aid to countries with which it has no relations as part of its diplomatic outreach. Israel has sent large aid delegations to disaster zones including following an earthquake in Turkey in 1999, an earthquake in Haiti in 2010, a typhoon in the Philippines in 2013, an earthquake in Nepal in 2015, and an earthquake in Mexico in 2017. In June, Israel send emergency aid funding to Guatemala after the country's Fuego volcano erupted killing at least 25 people.